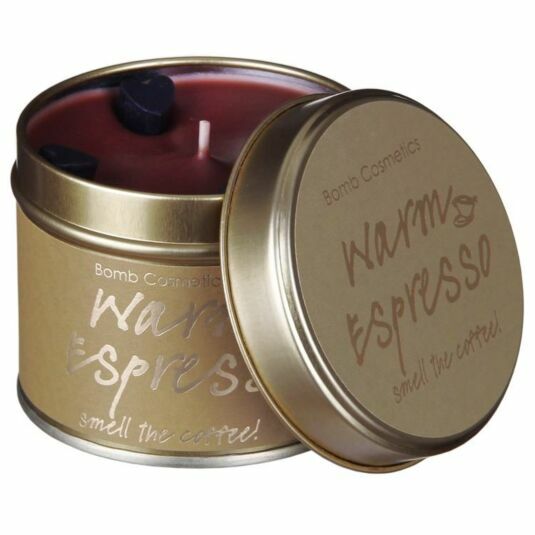 A rich mix of coffee and sweet caramel and chocolate with added black pepper and vetiver essential oils which are perfect for creating a productive atmosphere. The candle is deep red in colour and has small black 3D hearts around the edge. It is presented in a gold coloured tin which is decorated a light brown background and the words ‘Warm Espresso’ and ‘smell the coffee!. These will look great displayed in any room and would make a great gift for a friend or loved one.